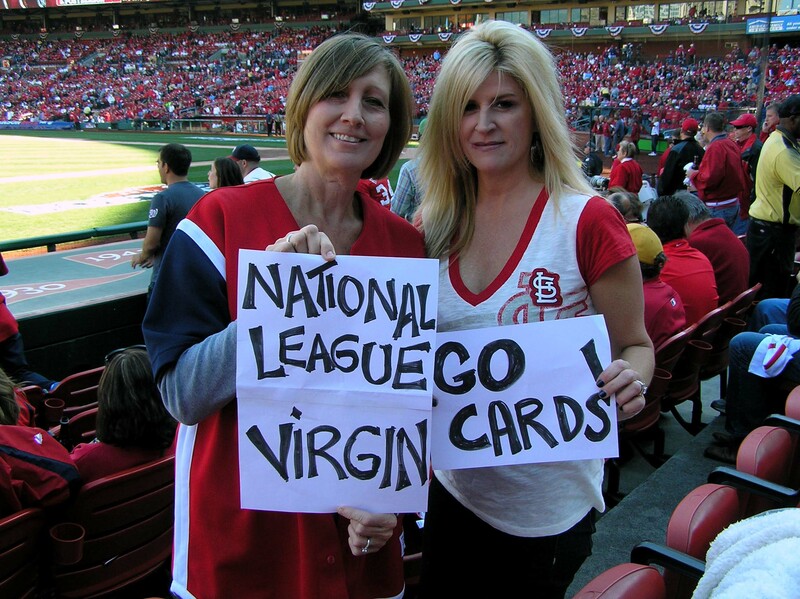 Okay, I admit a sign that says “National League Virgin” is a bit irreverent. But isn’t it every St. Louisian’s goal to be seen on the Jumbotron at Busch Stadium (especially since your friend’s hubby locked down two tickets behind third base line)? 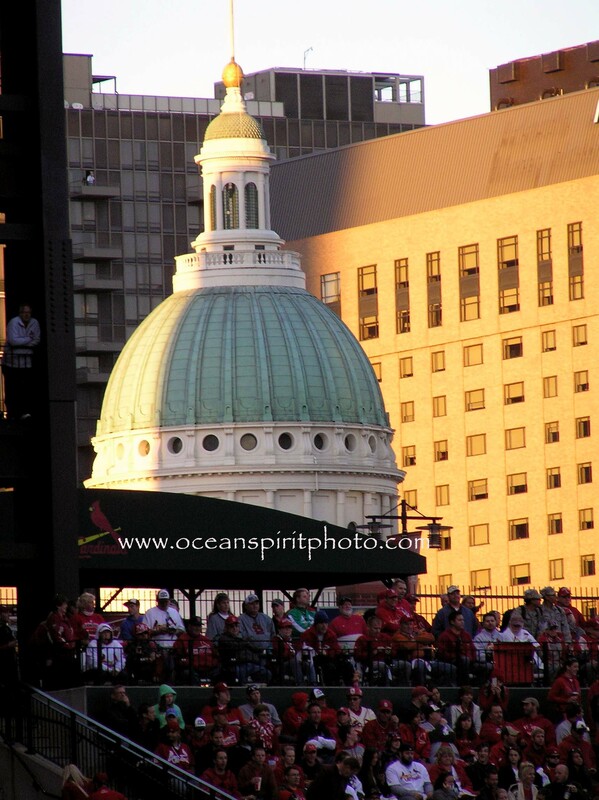 As a newbie to Busch Stadium, and a National League ‘virgin’, I guess I could fall in love with grand views of the capitol building, the glistening sun reflecting from the left leg of the Arch, and fireworks displays in appreciation of repeated home runs. 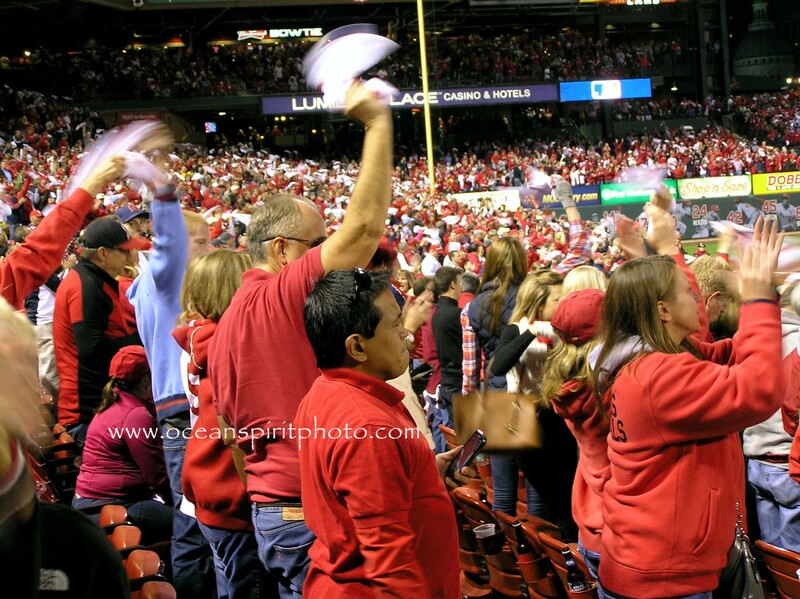 What really gets me choked up is what (we) St. Louisians call Cardinal Nation – Fans waving white rally towels in support of their favorite ballplayer, pom-pomesque girls blowing whistles and launching t-shirts from a giant sling, a group of middle-age women wearing bright red wigs, and cotton-candy covered toddlers sitting next to me. I’m beginning to understand what ‘seeing red’ means. With adrenalin flowing and the crowd cheering, I realize I’m stack dab in the middle of sports history. For a stadium newcomer, I could get used to this ‘baseball thing”. 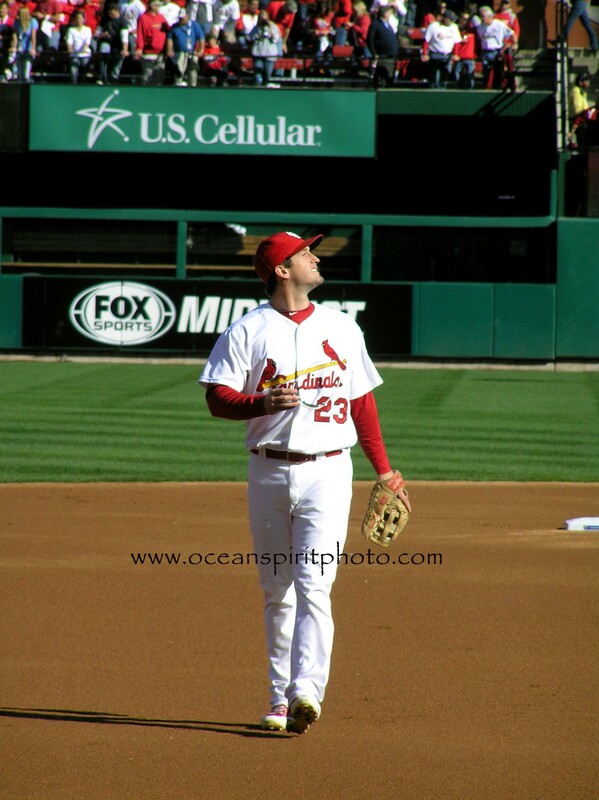 And from where I’m sitting, the view of David Freese ain’t half bad either.